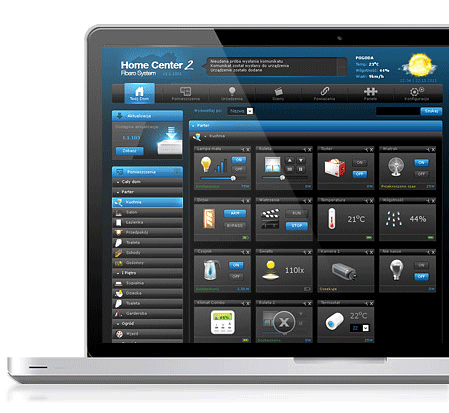 Fibaro is probably the most advanced building automation system in the world today. fittable into any building, irrespective of the existing cabling architecture. Fibaro is designed to work in harmony with the technology you use every day. Fibaro can automatically switch o­ff your electronics when you leave the building to save power, or warn you if you forget to close a window when you leave for work. Fibaro can take a reading of the natural light levels every time you turn your lights on, and dim them to just the right level to provide perfect illumination without wasting electricity. Fibaro can shut off­ your water supplies and isolate your electronics in the event of a flood to prevent damage to your home and belongings. If you go away on holiday and forget to set your alarm, Fibaro will message you and ask if you want to enable it remotely. If you leave the room and forget to turn the iron off­, Fibaro can switch it off­ for you and prevent a fire. Fibaro can create beautiful lighting scenes that are called up at the press of a button, or track your whereabouts by GPS and boil your kettle and play your favourite music as you get home from a long day at work. Fibaro is more than just a system for wirelessly controlling devices in your house. It is a trusted host, a personal assistant who will take care of you, your family and your home. Fibaro updates itself, monitors itself, maintains itself and will even alert you when appliances from other manufacturers in your home break down. Fibaro is about more than just improving your day-to-day comfort and safety. It’s about changing the way you live. 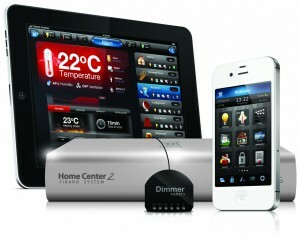 Fibaro is the future of home technology. Try it, and things will never be the same again.